Let’s Do The Time Warp … Again! 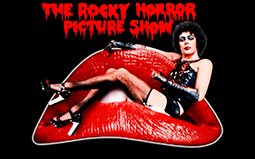 The Rocky Horror Picture Show is about a loving couple, a few lost monsters and a sweet transvestite from transsexual Transylvania who sing and dance through a campy, sloppy salute to horror movies and sexual liberation. Bring your sense of humor. The Flesh Junkies are a local Staten Island band, self-described as “a zombie-punk cabaret”! Their show features songs by The Cramps, The Mumps, X, Blondie, The Stooges, Lou Reed and much more.